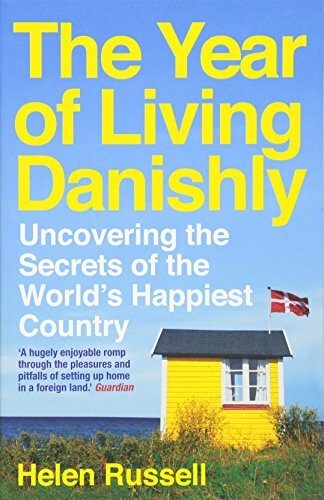 Prior to my trip to Denmark last year, my manager gave me a book called The Year of Living Danishly by Helen Russell. Other than the fact that I loved Helen Russell's humor, the book really started getting me to look into the definition of hygge. My husband and I have always been into the clean and modern look, but after our trip, of course we got more obsessed with Scandinavian design. We combine our love for travel and the homebodies in us by bringing what we love from different countries and cultures into our everyday. So little by little, room by room, corner by corner, beyond the clean and modern look, we've been striving to create the simplicity and comfort of that hygge home. A Scandinavian Christmas theme was an automatic choice! I did do some research for my decorations for the Christmas tree from the numerous Nordic design accounts I follow. There's really a whole range, from the very sparsely decorated ones to the multiple trees in one room. But as I slowly formed mine, here's some things that helped me determine the Christmas decorations that I know would be good investments for many Christmases to come. I have a 12 foot ceiling and before my study of Scandinavian design, it felt like I always needed to fill the space to bring the eyes up. But my darlings, I'm less than 5 feet in height (or lack thereof), and needing to use a ladder for half the tree should have been one indication that it was too much. Add up the decorations that you'll need to fill a massive tree, that was not practical at all. I think that's why I felt stuck with one color scheme for years - because I've spent so much on the decorations, it needed to be worth it. So, I went with a Christmas tree that's less than 5 feet tall, and propped it up on a table that I covered with a faux white fur blanket, which achieves the goal of bringing the eyes up, and the cozy vibe that only a fur blanket can bring. For me, this rule just made me make sure that this process shouldn't be hard because I enjoy decorating for Christmas and the logistical challenge should not deter me from it. I always use a real tree and I was really happy with this one that I got because a Christmas tree that's less triangular by force (as if it were cut to that perfect shape). The branches spread out, which I love as it is very natural. And most definitely the smell is glorious. When I think warmth at home, it's because I imagine outside is covered in snow. Well, obviously not in California, but definitely my Nordic dreams. That is why I went with the white as my main color. I did include some decorations that were not pure white by adding that earthy gold tone and glass ornaments. And this I did to add some visual depth and dimension, again, because naturally, it should not look flat. It's common to choose a fabric cover as a tree skirt (hence, skirt, right?). There's knitted kinds, silk, fur. But if there's anything I learned from Ikea, compartmentalizing is good. It's organized and organized gives this Virgo peace of mind. Travel PHOTO for every year we've been together. The basket achieves that natural look I'm looking for and that structured feel that I don't have to straighten. It was so practical that in moving the tree around, my dad literally just lifted the basket with no fuss made. As I went with the basket for a skirt, I thought having a couple more baskets of different shapes, colors and sizes again adds dimension to the vignette but also compartmentalizes all the surrounding decor. It's not Scandinavian if fashion and function are not cohesively working together. With all the baskets I had, it provided a natural storage for the gifts! My mom gives us a lot of tiny things in addition to her main gift and sometimes, if they're all just stacked on top of each other, it gets cluttered, and it clutters my brain. So, having these baskets will organize all the smaller presents. How much more can you achieve the warmth, comfort and cozy hygge feeling than by adding something very personal to your Christmas decoration? Eight years ago, I decided I wanted to have a photo from one of our travels for the year on our tree starting from the first year we got together, 2006. I bought 25 of these little frames, thinking I could use this frame for 25 years, and then switch to silver after our 25th anniversary. I imagined that these photos will change from a couple to a family in that 25 years. Well, fate would have it that instead of trying to have a child when I turned 30, it would be just the two of us as we try (and still trying) to achieve independence after my husband's stroke. So these photos really show our personal journey - from where it began, to where we were planning for a certain future, to where those plans changed. Ours is a story with the ups and downs like many other couples, but this series shows what's ours. I'm humbled by it, which is definitely a feeling magnified during Christmastime. I'm really in love with my Scandinavian Christmas tree, it gives me such joy whenever I walk by it. If you're considering this style this season, I hope the five simple tips above helped you!